Designed and pieced by Judy Martin. Machine quilted by Renae Haddadin. 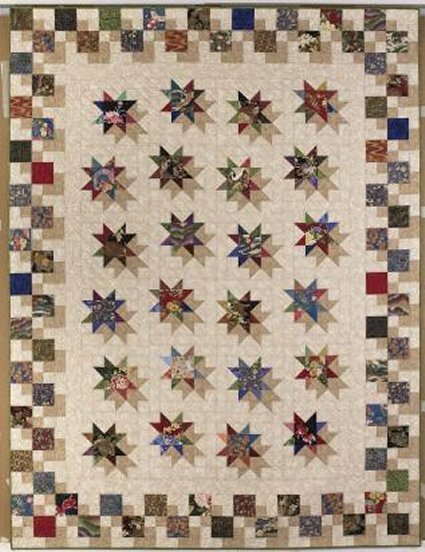 One of Judy's lovely shadow quilts, Hollywood Boulevard features Japanese prints in star centers and the border squares. This quilt comes with a Certificate of Authenticity signed by Judy Martin. The quilt can be autographed upon request. Payment must be made with a cashier's check drawn on a US bank and in US dollars. Credit card orders will not be accepted for this quilt. 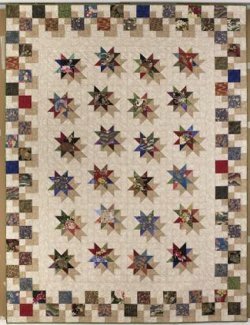 At this time quilts are only available for shipment to customers inside the United States. Foreign customers are welcome to purchase this quilt as long as shipment is made to a United States address.